The Senate yesterday retained the foreign exchange rate of N305 to the dollar for the 2017 budget. This was part of the key decisions by the upper legislative chamber while passing the Medium Term Expenditure Framework and Fiscal Strategy Paper (MTEF/FSP). Adopting the recommendations of its Joint Committee on Finance, Appropriation and National Planning on the document, the Senate however, raised the proposed oil benchmark of $42.50 in 2017 budget to $44.5 per barrel. The decision to retain a conservative exchange rate benchmark of N305 per dollar could further mount pressure on the naira, especially as the CBN has failed to meet forex demand in recent times. Industry experts had condemned the wide gap between official exchange rate and that of the parallel market, saying it was the reason for the weak naira. He commended the recent migration from fixed exchange rate regime to flexible exchange rate regime but tasked the Central Bank of Nigeria (CBN) to put in place measures meant to close the gap between parallel market and the official exchange rate. Defending its decision to raise the oil benchmark, the committee said international oil industry watchers had forecast that oil prices were gradually heading towards $60 per barrel. The Senate also approved the recommendation to retain 2.2 million barrel per day oil production volume, observing that the projection is achievable if the Federal Government makes concerted efforts to stem the tide of militancy in the Niger Delta. 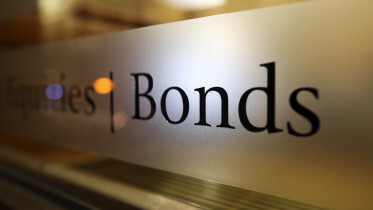 The Senate approved the government’s borrowing plan of N2.321 trillion, made up of N1.253 trillion as domestic borrowing and N1.067 trillion external borrowing. It charged the government to be focused and ensure that the loans are used to finance critical projects capable of increasing productivity which will in turn yield revenue to service the debt. But Ben Murray-Bruce (Bayelsa East) faulted the approval of N305 exchange rate. He said: “You have pegged the exchange rate at N305 to the dollar. Nobody in this room today can go to the bank and buy the dollar at N305 and so, we have an exchange rate that is ridiculous. The black market is about N500 and it is only about N200 differential. Between 1960 and 1980, despite the civil war, when (Chief Obafemi Awolowo was federal commissioner for finance), the country was moving on without borrowing a penny. “In the exchange rate between the official and black markets, there was no differential. In 1980, it was $1: 97cents to the naira and the difference between official and black market was N10 kobo. “When (Shehu) Shagari was overthrown on December 31st in 1983, the official rate of exchange was N3 to the dollar and the black market was N4 to the dollar. So, it was a N1 differential. Three years ago, it was a N10 to N15 differential between the black market and the official rate. The House of Representatives also yesterday adopted $44. 5 per barrel as benchmark price for the 2017 budget.The resolution followed the adoption of the report of Ibrahim Babangida- led joint House committees on Finance, Appropriation, National Planning and Economic Development, Legislative Budget and Research and Aids, Loans and Debt Management on the 2017-2019 Medium Term Expenditure Framework (MTEF) and Fiscal Strategy Paper (FSP) at the plenary presided over by the Deputy Speaker, Sulaimon Yussuf Lasun. Also, the Senate yesterday resolved to probe ‎the use of about N130 billion donated by international bodies to non-governmental organisations (NGOs) in Nigeria to fund humanitarian relief activities in the North East. Adopting a motion by Ali Ndume (APC, Borno South), titled “The state of Humanitarian Relief Effort in the North East amidst high level of funding so far”, the upper legislative chamber mandated its Committee on Special Duties to initiate the process of synergising between United Nations, donor agencies, NGOs, federal, state and local governments to ensure effective coordination of the humanitarian response for the benefit of the displaced persons and victims of the insurgency in the North East, and report back in two weeks. Ndume noted that‎ the United Nations Office for the Coordination of Humanitarian Affairs (UNOCHA) reported that over $426 million or N130 billion had been received as at December 2016. “Although an estimated N36 billion worth of funding for food security has been reportedly donated towards alleviating the food security problem in the north east, malnutrition has reached extreme levels in parts of Borno, Adamawa, and Yobe states,” Ndume said. 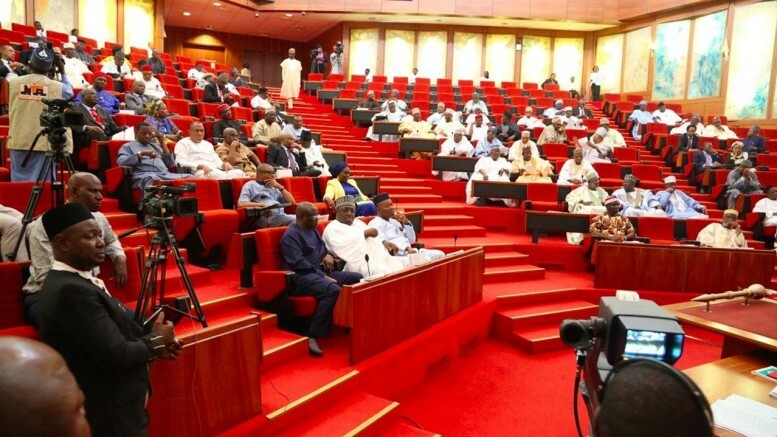 Be the first to comment on "More Forex Crisis as Senate Okays N305 to $1 for Budget"